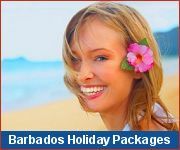 If you're looking for an active, adventure vacation in the Caribbean look no further than Barbados! 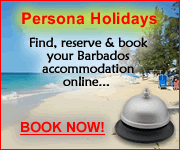 Although Barbados is a small Caribbean island, there is much to see and do on an activity-filled holiday. Play golf, go on a submarine ride, explore an underground cave, party the night away... these are just some of the many activities that can be included in your Barbados vacation. You are sure to have a wonderful adventure-filled Caribbean vacation discovering why Barbados has more attractions per square mile than any other island! Enjoy watersports fun just steps from your room when you stay at Infinity On The Beach! And when the sun sets, the nightclubs of the Gap are just a 2 minute stroll away. For an all-inclusive vacation full of fun activities the place to stay is Sandals Barbados. Your stay includes unlimited land and water sports! Book an all-inclusive stay at Mango Bay Resort for an invigorating vacation that includes water skiing, kayaking, sailing, pedal boating, snorkeling, and scuba diving! Stay at Accra Beach Hotel to be right in the heart of the action, on a lovely beach just steps from the boardwalk. You'll be close to clubs & restaurants. Public transport for exploring the island is at your doorstep.